The cemetery is open for visitation of graves from dawn to dusk 7 days a week. The Administration building is open Monday - Friday from 8:00 am to 5:00 pm MST. Employees are available during this time to schedule and conduct interments. Interments are not scheduled on weekends or major National and State Holidays. If you are interested in checking your eligibility for interment at NVCA, please complete and submit an Eligibility Determination Request Form. To schedule an interment, a Request for Interment Form will need to be completed and submitted to NVCA for consideration. For information on how to request a headstone to be placed on a grave, please complete the Headstone Inscription Request Form and submit it to NCVA for consideration. In the spring of 1942, the US Army selected 31,489 acres of land outside of Alliance to build an air field. The dry climate and open landscape provided ideal flying conditions. An ample supply of water and affordable land, as well as Alliance’s new power plant, new hospital, and railroad division point were other attractions. By July, four 9,000-foot runways had been completed. The primary mission of the air field was to train aircrews of C-47 and C-53 transports and CG-4 gliders, along with airborne troops they would carry into battle. The field contained around 775 buildings and housed 12,500 military personnel at its peak in September 1943. The 411th Base Headquarters Squadron, 403rd and 434th Troop Carrier Groups, 326th Glider Infantry, 507th Parachute Infantry, and 878th Airborne Engineers trained here before deployment to the European Theater. Many of the troops who trained on this land participated in the invasion of Normandy on D-Day. Veteran troops arrived in June 1945 to train for the expected invasion of Japan. Due to the surrender of the Japanese, the invasion never occurred. The Army Air Field was declared surplus in December 1945. Part of the field was transferred to Alliance for use as an airport. 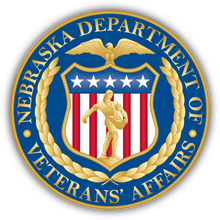 Sixty-three years later, the City of Alliance donated twenty acres, which had once been used as a troop training field, to the Nebraska Department of Veterans’ Affairs. With funds raised by the local community and startup appropriations from the State of Nebraska, the request for a State Veterans Cemetery was approved. The US Department of Veterans Affairs provided the remaining amount of funds to construct and equip the cemetery. Ground was broken in October of 2008 to begin construction of Nebraska’s first State Veterans Cemetery. The Cemetery was dedicated and presented to the public on August 13, 2010. The first interment was held January 21, 2011.